One hair extensions technique that helps you achieve fullness and length is a braidless sew-in with micro links. 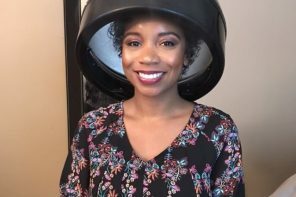 I had a chance to talk to Chantelle Norman, owner of Salon Bella Dama in Atlanta, GA to learn more about this technique that is gaining popularity. What is a braidless sew-in with micro links? What is the benefit of this technique? 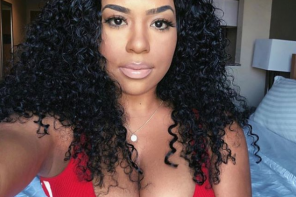 A braidless sew-in is a technique that allows hair extensions to be applied to the hair without the natural hair being braided down as a base. One safe way to achieve a braidless sew-in is by using micro-links. Micro link extensions can include a variety of methods, depending on the client and type of hair they have. For Caucasian and Asian hair, it may be better for them use a strand-by-strand technique that adds single strand extensions to their own hair. However, for most of Chantelle’s clients, her method uses a silicone bead and where she pulls a small section of her cleint’s hair through the bead, before it is clamped with special pliers. 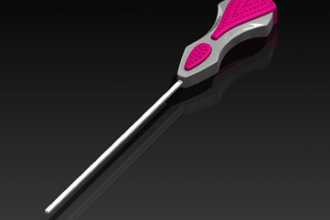 Once the bead has been clamped it gives a firm hold on the hair, preventing the bead from sliding up and down the hair. The beads create a base for the hair extensions (bundles) to be sewn down, where she can then sew the tracks through the micro-links and sew the natural hair to the track hair. I know, it’s kind of tricky to understand, but in this video, one of the stylists in Chantelle’s salon, Holly Barnes, shows the process of installing the micro-links. 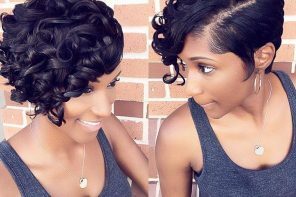 Who is the best candidate for a braidless sew-in? 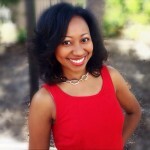 Braidless sew-ins are great for people looking to achieve a different look with their hair. 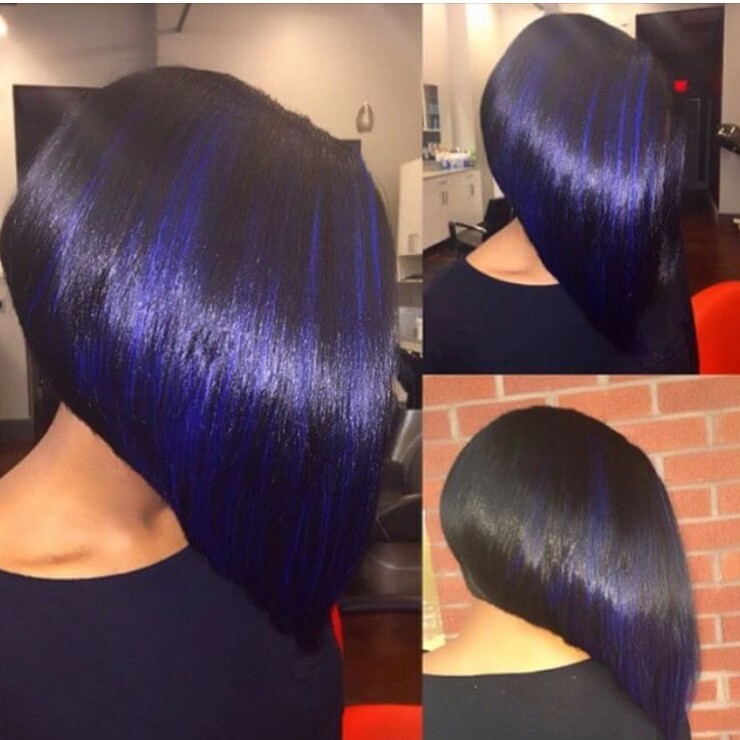 Chantelle uses this technique often for clients who want a bob. A lot of people don’t have enough length on their sides, so I use micro links to give the illusion of fullness. It’s another option for people who aren’t ready to cut their hair or for those who have cut their hair but want a longer style. How long do braidless sew-ins last? How long your install lasts depends on how you maintain it. Chantelle said that her salon has seen clients who have kept them in up to 3 months, but 6-8 weeks is the average length of time clients keep them. When you shampoo the hair the extensions can be retightened, so it is easy to maintain. The biggest question… is it healthy for your hair? It can be healthy for the hair if the install is done properly. An important factor is to ensure that the hair extensions are not sewn down too tight. 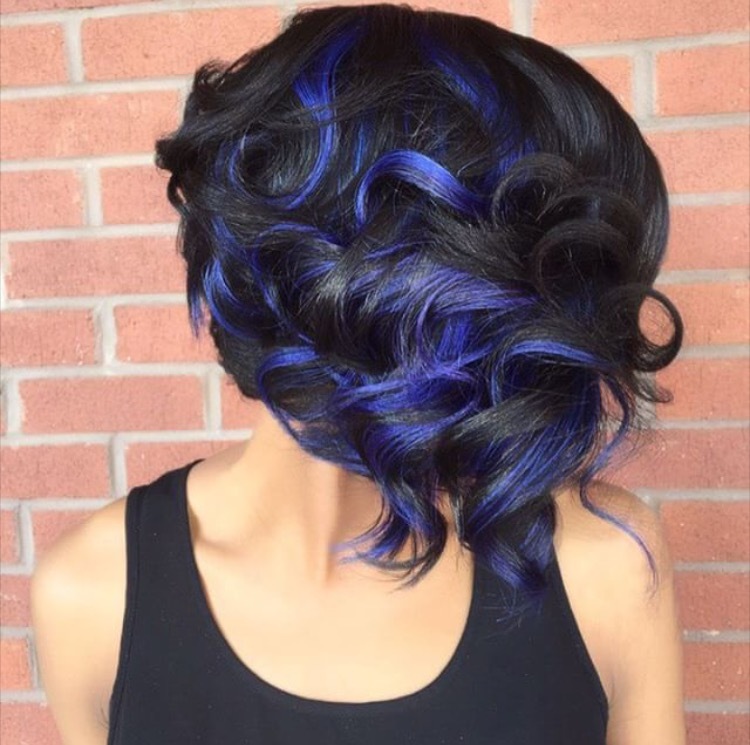 You need to make sure the stylist who is installing them is skilled and experienced with this technique. Does this technique work for all textures of hair (fine, coarse, relaxed and natural hair)? Braidless sew-ins work on all textures of hair. 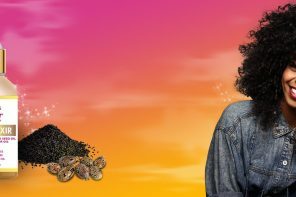 However, you have to purchase the hair extensions to match your natural hair texture, since your hair will be blended with the hair extensions. How do you take maintain your hair in this style? When you shampoo the hair, you blow it out like you normally would. 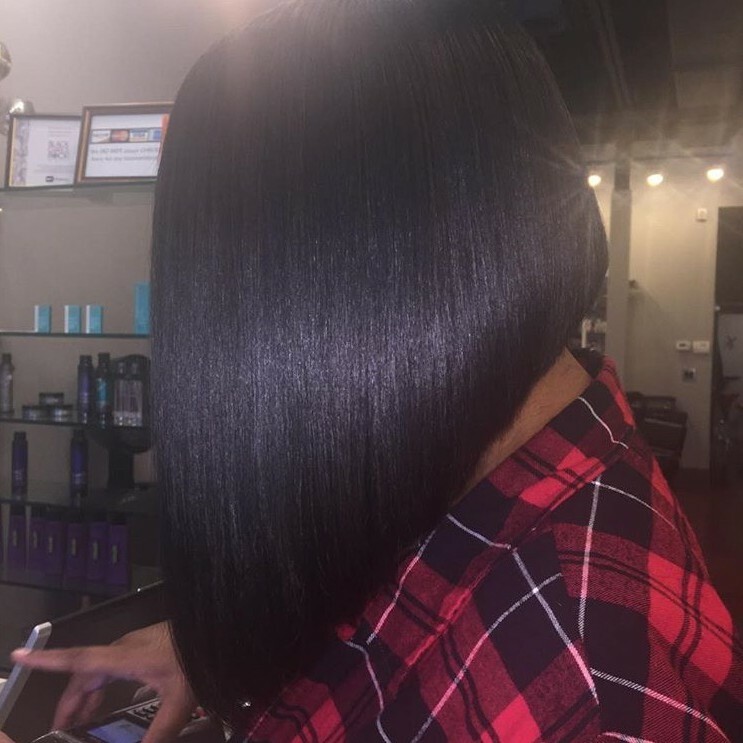 If you are wearing it straight you would straighten the hair (silk press) and style your hair the way you normally wear it. Chantelle’s salon does this technique a lot. 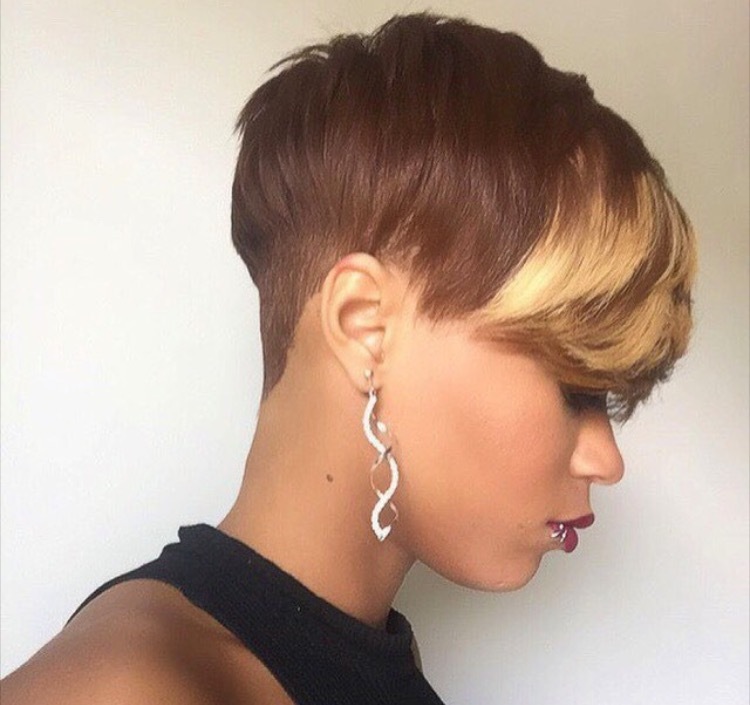 How much does this style run in comparison to a traditional sew in? This is one of those, “it depends” situations. 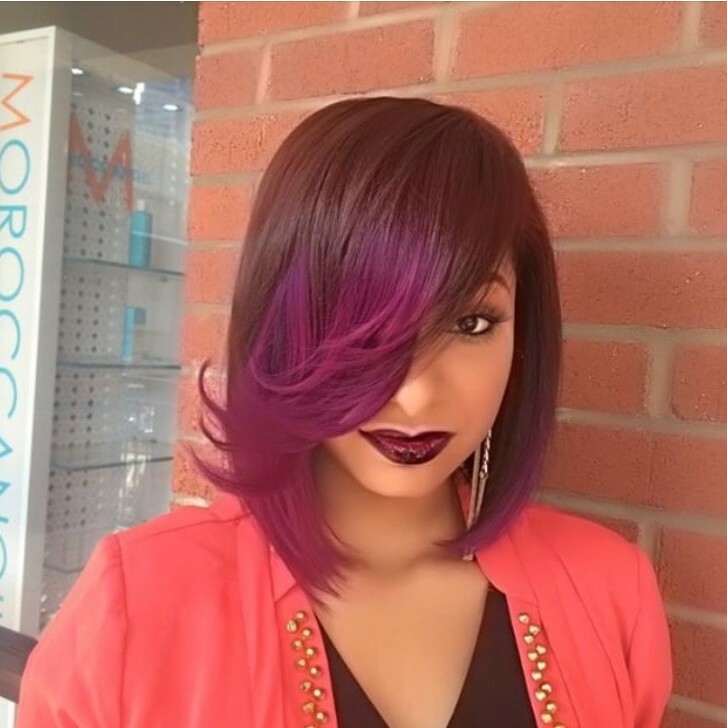 At Salon Bella Dama, a full sew-in is $250, which doesn’t include hair color or hair cutting services. However, micro-links are charged on a per-row basis, at $25 per row. On average, a lot of clients need 3 or 4 rows installed. So the total price will depend on how full they want their hair. However, each salon’s pricing is different, so check with your stylist to be sure. Where do you buy the hair from? Since braidless sew-ins use track hair, or bundles, you can purchase your hair from your regular hair vendor. Just be sure that the hair you purchase is going to blend well with your natural texture. For more of her work follow Chantelle on Instagram at @HairByChantelleN and visit her salon’s website, Salon Bella Dama. This is an incomplete posting. Why doesn’t this tell the reader about the more important aspects of care of microlinks and the drawbacks of them? For instance, I notice that you didn’t mention that when you shampoo your hair, you’d have to make sure that no conditioner gets to the roots where the links are or they’d slide out? You also didn’t mention how important it is to shampoo our hair every week because the build up would contribute to breakage near the microlink area? All of that is important when deciding if you even want microlinks in the 1st place. Wouldn’t it make sense to mention that? If we’re going to catch up to everyone else when it comes to knowing our hair and our options then we need to be more detailed when sharing information with each other…just.like.other.women.do. There is no way that one blog post can cover all aspects of this technique and as with anything you read on the Internet it is important to consult your own haircare professional before installing such. However, thanks for the comment!